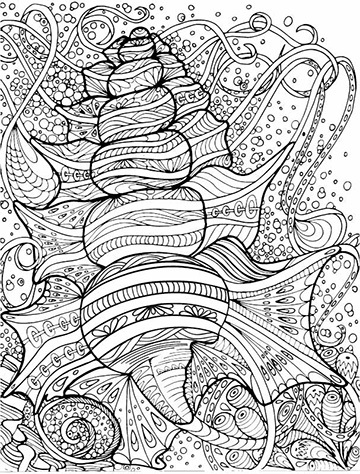 How does a marine biologist come to be an adult coloring book illustrator? Well, life is funny that way. 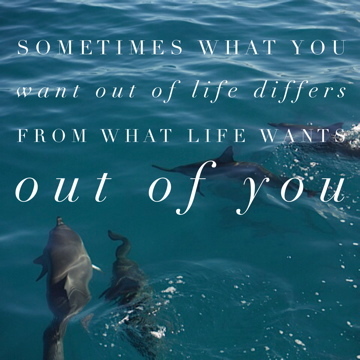 Sometimes what you want out of life differs from what life wants from you. When I graduated from college with a degree in Marine Science, I was eager to get to work making a difference for the life in the ocean. In those early days, I worked on numerous conservation projects to protect aquatic resources but none of them fulfilled my desire to work with marine life. 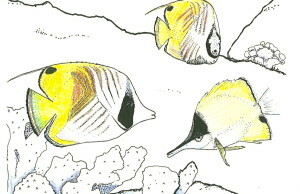 I began to go snorkeling more often, which provided me with much awe and wonder. 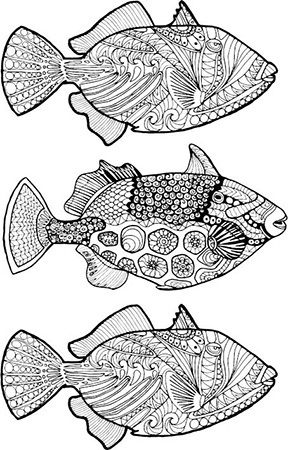 Then, I began to draw fish…everyday. 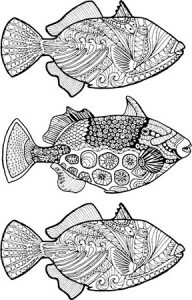 Each morning, I would draw a new fish. 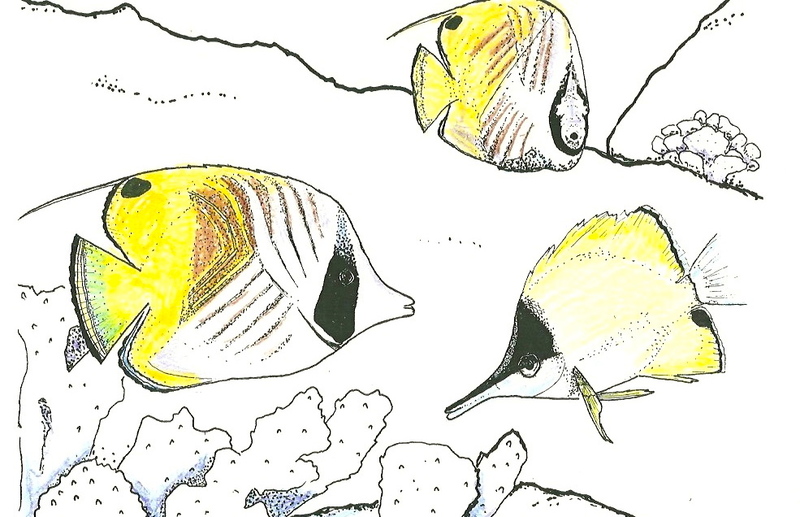 This wasn’t just an exercise in drawing, but I had the intention of creating a book of illustrations that would help students and visitors (to Hawaii) learn more about Hawaii’s fish. I always found that drawing and coloring helped me with learning processes and so I was learning and hopefully my illustrations would be teaching. My collection grew to over eighty species of fish! When they were complete, I added descriptions to each fish and labeled them with their common, scientific, and Hawaiian names. 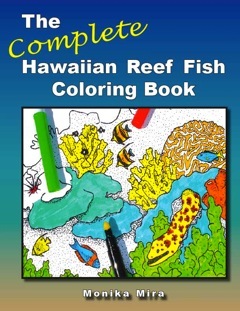 The Complete Hawaiian Reef Fish Coloring Book was born, but not published. This was back at the turn of the century (Y2K)….and so I began to submit my book to publishers. Here is the best part of this story. 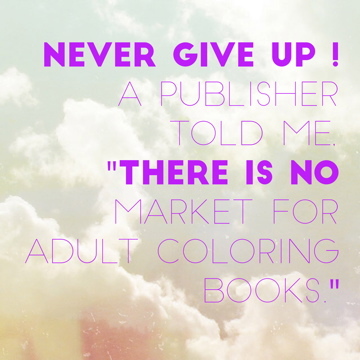 One of the publishers wrote back to me with a rejection citing that there is “no market for adult coloring books”. Fast forward 15 or so years, and adult coloring books are all the rage. Maybe I was ahead of time. 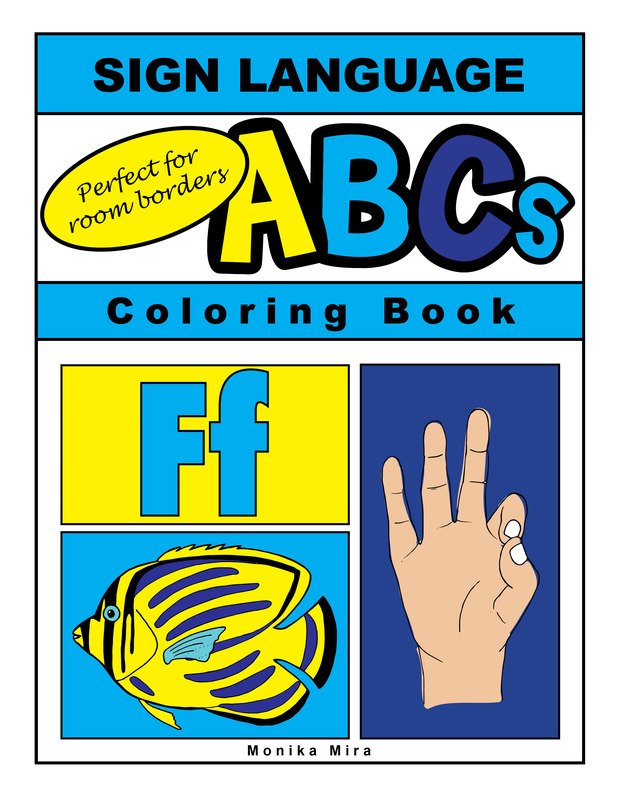 The fact is, my coloring book was more of a coloring TEXTbook and coloring textbooks like the Anatomy Coloring Book had already sold millions of copies even back then. Hey, no hard feelings. I didn’t give up. I had a clear vision of what I wanted to achieve. 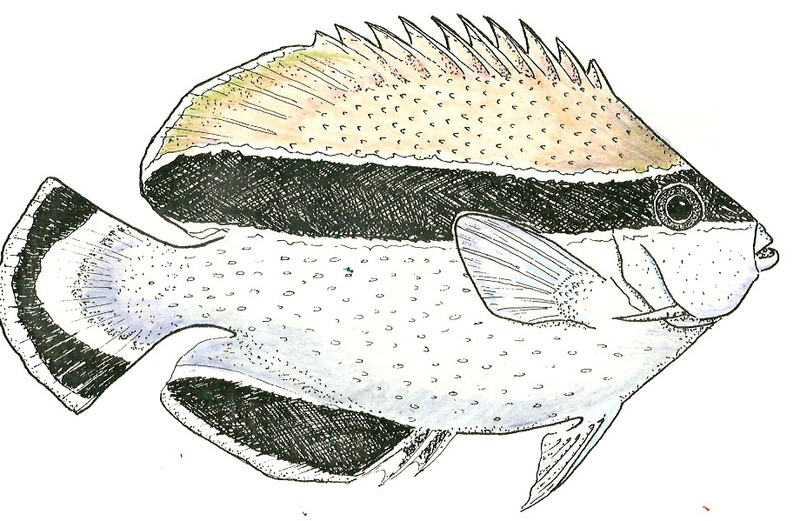 So, I beefed up my book and added sections on fish anatomy, morphology, coloration, eating habits, reproduction, and even an introduction to coral reef ecology. My book ended up winning awards and being used in schools across the country. Today, I like to illustrate all sorts of things and I have sold thousands of copies of my books. 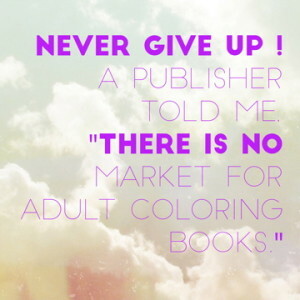 As long as people like my coloring books and illustrations, I will continue to create them. But my first true love is still the ocean, and you will see me carry that theme throughout many of my books like: Who Lives in the Sea? 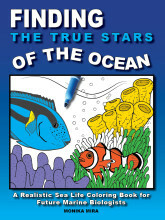 Ocean Animals of Hawaii, Finding the True Stars of the Ocean, or Coral Reefs, Science and Nature for Young Readers. 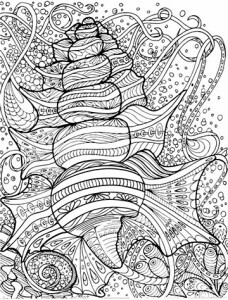 I am currently working on a new adult coloring book that offers more of an artistic flair to the marine life that I am illustrating. I think it’s kind of fun to be able create my own ocean through my art, always keeping in mind what inspires me.